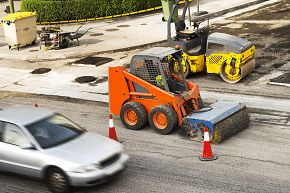 Houston Vulnerable Road User Ordinance | Simmons and Fletcher, P.C. According to a preliminary report conducted by the Governors Highway Safety Association, there were nearly 6,000 pedestrians killed in motor vehicle crashes in 2017. Unfortunately, car accidents involving pedestrians seem to be more common; however, there are other road users who are also at a disadvantage when it comes to negligent drivers. Did you know the City of Houston has a special law in place to protect individuals on the road who are more likely to sustain injures due to negligent drivers? It’s called the Vulnerable Road Users ordinance, and it can be found in the Houston, Texas Code of Ordinances: Chapter 45 – Traffic, Article XII. – Sec. 45-44. It is important to be aware of the expectations associated with this ordinance if you plan to use Houston roadways. You can be fined up to $500 if you are found in violation of the established standards. These individuals are considered particularly at risk when negligent drivers are on the roadway. What Must Drivers Do Around Vulnerable Road Users? The vulnerable road user ordinance establishes set of actions that are required and prohibited by motor vehicles and motor cycles when navigating around vulnerable road users. What Must You Do Around Vulnerable Road Users? When passing a vulnerable road user, vacate the lane in which they are located if there are two or more marked lanes running in the same direction; or, pass the vulnerable road user at a safe distance. When making a turn at any intersection, whether it be a traffic light or private alley, yield the right-of-way to a vulnerable road user who is approaching from the opposite direction and is in the intersection (or is in such proximity to the intersection as to be an immediate hazard). What Actions are Prohibited Around Vulnerable Road Users? Knowingly throwing or projecting any object at a vulnerable road user, or the user’s animal, equipment or vehicle. Overtaking a vulnerable road user traveling in the same direction and subsequently making a turn in front of the vulnerable road user in an unsafe manner. Maneuvering a vehicle in a manner that is meant to cause intimidation or harassment to a vulnerable road user or in a manner that threatens a user. There are many nonprofit organizations dedicated to protecting vulnerable road users. One example is BikeHouston, a nonprofit organization that works with the city to create safe and effective bike routes for Houstonians. You can read our blog on bicycle safety laws here. It is important to keep in mind that the vulnerable road user ordinance does not apply to cases where the vulnerable road user was acting in violation of any applicable traffic laws. If you or someone you love was seriously injured in an automobile accident, call 800-298-0111 for a free case evaluation with an experienced car accident lawyer.